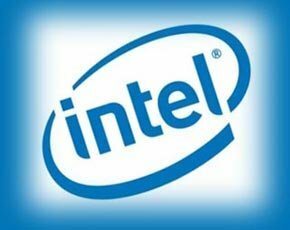 Intel is developing a new server rack design architecture that uses its technologies for deployment as a full rack for improved server utilisation, according to Diane Bryant, senior vice-president and general manager of the datacentre group, at Intel’s annual developer forum this week. The reference design is built for hyperscale datacentres. Hyperscale datacentres are used by enterprises that maintain thousands of servers and store vast amounts of data. Such datacentres require continued advancements in rack design to deal with major growth in users, data and devices cost-effectively. Such datacentres are often built with stripped-down commercial off the shelf (COTS) computing equipment and can have millions of virtual servers and accommodate increased computing demands without requiring existing physical space, cooling or electrical power. The savings in hardware can pay for custom software to meet business needs. Hyperscale computing is a distributed computing environment in which the volume of data and the demand for certain types of workloads can increase exponentially, yet still be accommodated quickly in a cost-effective manner. Traditional rack systems designed to handle application workloads may not always achieve the high efficiency under all hyperscale uses, according to Bryant. Intel’s reference design will help re-architect a modular rack level solution at the storage, CPU, memory, or network level. It will help efficiently allocate resources based on application specific workload requirements, she said. Enterprises can choose the system design that matches the demands of their specific hyperscale workload and increase efficiency. Hyperscale datacentres help companies save on hardware that can then be used to pay for custom software to meet business needs. It also leads to higher density and higher utilisation leading to a lower total cost of ownership (TCO). During her keynote, Bryant also shared Intel’s datacentre product line expansion based on the 22nm process technology. "People are increasingly demanding more from their devices through applications and services whether at home, at work or wherever they may be," Bryant said. "Intel is delivering a portfolio of hardware and software computing technologies, from the device to the datacentre, that can improve experiences and enable new services." Intel is also launching a new Atom S12x9 processor family customised for storage. The launch comes just four months after it debuted the Intel Atom S1200 processor for micro servers. Intel plans to deliver two more Intel Atom processor-based products this year to deliver new architectures, improved performance-per-watt and an expanded feature set, Bryant said.